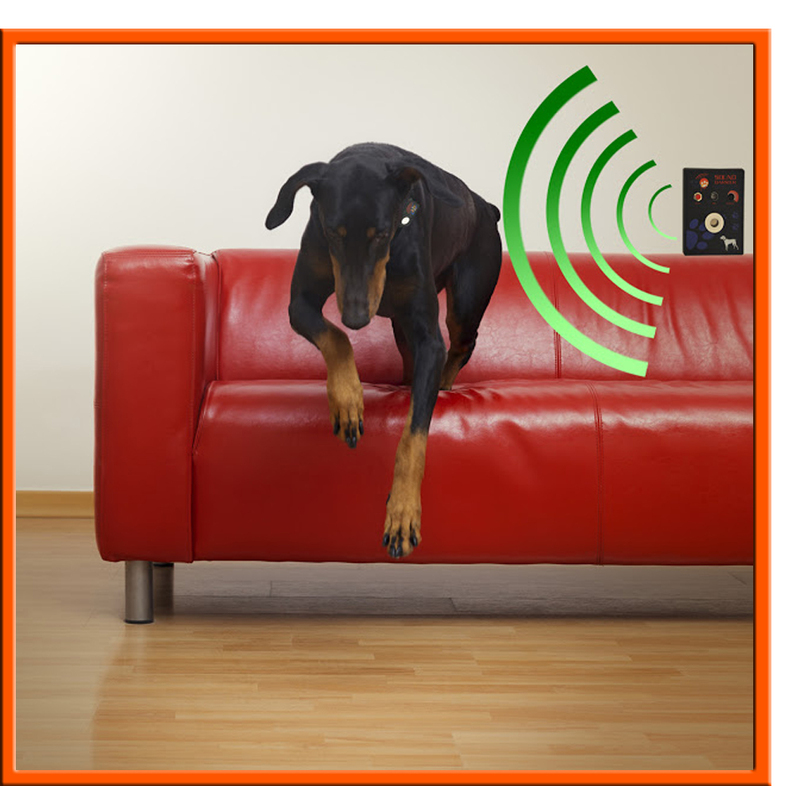 Keeps Pets Out of "Off Limits" Areas with Painless Sound Waves. Keep your dog or cat off the couch, away from the kitchen table or out of an entire room with our new SOUND BARRIER, indoor electronic fence. The Sound Barrier is an electronic pet containment system for dogs AND cats that uses audible SOUND, not shock to keep your pet out of restricted areas. The Sound Barrier's Receiver unit may be placed on table tops, by doors, bed, couch, trash can or anywhere that is "off limits" to pets. The ightweight electronic pet collar sends an ultrasonic signal that triggers a loud sonic blast at the receiver unit when the pet approaches. Dogs and cats are quickly and easily trained to Stay Away! System includes 1 Sound Barrier Receiver and 1 MS-4 Pet Collar Transmitter with lithium battery included. 9 volt battery required for receiver (may be ordered below). This is the 4th. bark collar I have purchased and must say"It works!". It is very sensitive . I don't use it when I'm not home with my dog. Had it about 3 weeks, don't know how long the battery will last. If you are at your wits end with incessant barking at the mailman, dogs, squirrels,leaves,and anything that moves, this is for you. Just don't overuse.